(Nanowerk News) An analysis carried out by JRC scientists shows that the uncertainty in measurement of power generation from a photovoltaic (PV) cell can be more than halved, thus bringing an economic benefit to both manufacturers and investors. With the annual world PV production exceeding 40 GW in 2014 and a market value of over €25bn, this is good news for customers, utilities, the production industry and future R&D efforts in the field of renewable energy. The results have been published in the paper "Reduction of uncertainties for photovoltaic reference cells", released in time for the annual European Photovoltaic Solar Research Conference and Exhibition, held from 14 to 18 September in Hamburg, Germany. In simple terms photovoltaic solar panels are bought and sold on the basis of their maximum power output. Manufacturers include a margin on this value to allow for small variations in manufacturing and measurement. The possibility to tighten this margin (typically few percent) brings an economic benefit to them and to investors. On the R&D side, reducing uncertainty increases the possibility to clearly identify the impact of new materials and processes. For these measurements both industry and the photovoltaics research community rely on a calibration chain ultimately traceable to the SI (Système International d'Unités) irradiance scale. For instance the JRC has traditionally calibrated its primary reference devices against the instrument group maintained at the world radiometric centre (WRC) in Davos, Switzerland. Recent updates to the world radiometric reference values to take account of improved instrumentation prompted scientists at the JRC’s European Solar Testing Installation (ESTI) labs to re-analyse the data of their five primary reference cells (highly stable crystalline silicon devices). Using a rigorous analysis of the uncertainties resulted in the more accurate assignment of calibration values. The uncertainty of 0.23% is a factor of two below that of any single method. 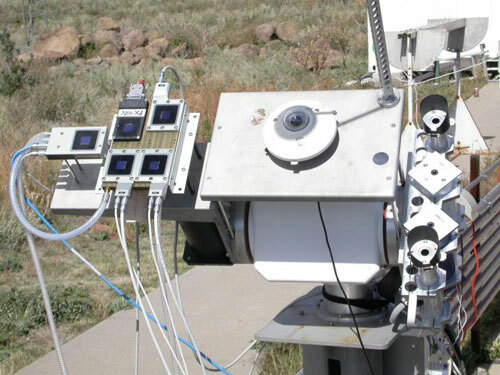 The unique ESTI reference cell set made this possible, drawing from its 20 years of calibration history, well controlled maintenance and regular stability checks, as well as collaboration with the world leading solar reference laboratories in Japan, USA and Europe. The results open the way to cheaper and faster calibration of secondary reference devices for industry and research to the same level or even lower uncertainty. The European Photovoltaic Solar Energy Conference and Exhibition (EU PVSEC) is the world's largest international conference for photovoltaics research, bringing together both industry and research communities. The event opened its doors in Hamburg to more than 2200 participants. The JRC is responsible for the scientific programme of the conference, leading the scientific committee which has submitted 1300 abstracts from 6000 authors coming from 87 countries. JRC scientists chair three sessions and are lead authors for six presentations, including the plenary "Towards a European Union of Photovoltaic Solar electricity".